Want to get your bearings before exploring the city? Or hoping to get an insider’s perspective during your trip? Whether you’re a history buff looking to learn how settlers got all the way to this corner of the country, an adventure enthusiast itching for an outdoor activity, or a photographer wanting to capture aerial images of the iconic skyline, there’s a Seattle sightseeing tour for you. While the Great Seattle Fire in 1889 wasn’t a happy occasion, it did give Seattle the opportunity to rebuild—which was a fortunate thing, given that the original downtown was prone to flooding due to its proximity to Elliott Bay. As the city rebuilt everything above previous street levels, an entire underground world was born. 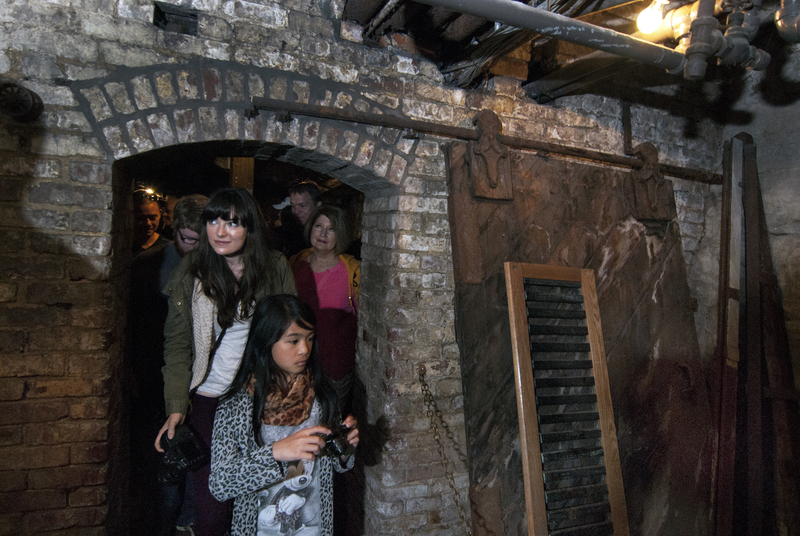 Today, you can explore its passageways in Pioneer Square on Bill Speidel’s Underground Tour or Beneath the Streets. Both tours offer a healthy dose of history and a walk below ground. Water is a huge part of Seattle’s story, and what better way to explore its marine history than by going to the source itself? 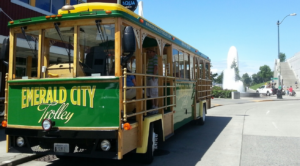 Argosy Cruises has five tour options, including its signature Harbor Cruise. This one-hour trip follows the shoreline of Elliott Bay, getting a closer look at the container ships, cruise ships, and harbor seals that ply the Puget Sound waters. Let’s Go Sailing puts you on a high-performance racing yacht for a relaxing, wind-in-your-hair journey. Waterways Cruises and Events focuses on dining cruises aboard its 105-foot-long yacht, like the Sunday Supper Cruise that takes a spin around Lake Union and Lake Washington while guests enjoy a buffet stocked with sockeye salmon and apple crisp. If you just can’t decide between land and water, you can have both with Ride the Ducks, which uses amphibious landing crafts from World War II that are equally at home on the roads as they are at sea. Once you shed your sea legs, there’s plenty to see back on land. Because Seattle is a forward-thinking city, it’s only appropriate to explore on Segways, two-wheeled transportation devices that make it easy for you to zip from the waterfront to Pioneer Square and Pike Place Market to Seattle Center, under the guidance of Seattle Segway Tours. Take an upbeat, 90-minute city tour with Qwik Tours as they parade you around Seattle for a lesson in history, humor, music and more; or go at your own pace with City Sightseeing Seattle, a hop-on/hop-off open-top bus that circles around to 14 of the city’s top sites and attractions. If you want to get a little farther out of town, Tours Northwest can whisk you away in a mini-coach to Mount Rainier, in addition to three- and six-hour tours around the city. 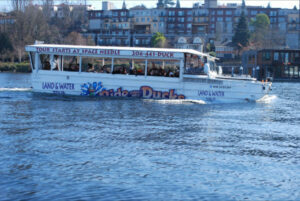 Let’s Tour Seattle also offers shuttle bus tours, with convenient pick-ups and drop-offs either in downtown or at Seattle-Tacoma International Airport for before and after a cruise trip. With longtime tour operator Show Me Seattle, see the city in a small group, visit Boeing’s factory, or taste your way through Pike Place Market. Cruise passengers, take note: There are special offerings for you from all the shuttle bus companies. Make like a bird and embark on a scenic “flightseeing” tour for a whole different perspective of Seattle. 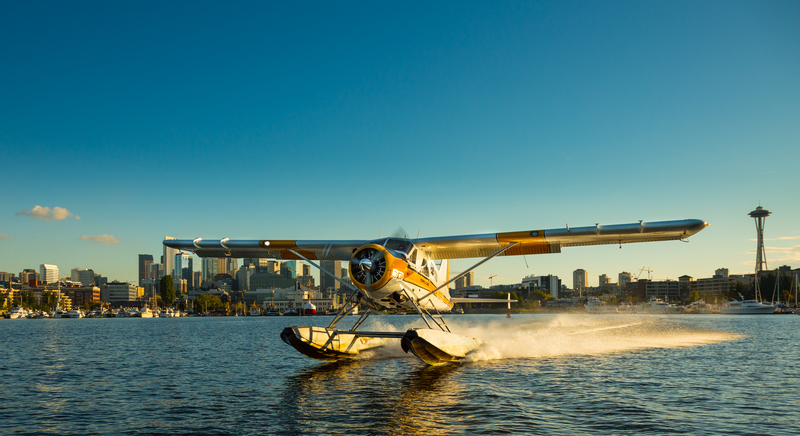 For a floatplane experience you can’t get just anywhere, Kenmore Air and Seattle Seaplanes both offer 20-minute tours spent soaring past the sports stadiums, famed houseboat communities, and the distinct towers of downtown before landing gently back on Lake Union. Swap the water rudders for a giant propeller and take in the scenery via helicopter with Seattle HeliTours, which offers three routes leaving from Auburn Municipal Airport, and Georgetown-based Atomic Helicopters, with four itineraries covering the city, Snoqualmie Falls, Lake Washington, and marinas of Puget Sound. For an intimate, luxurious experience, book a semi-private or private hot air balloon ride with Seattle Ballooning to get a birds-eye view of downtown Seattle and Mt. Rainier, topped off with a champagne toast at the end of the flight. It’s great to explore by boat, shuttle, and plane, but sometimes you just want to keep it simple. Get around on your own two feet with the Seattle Free Walking Tours, which cover four topics: Pike Place Market, historic Seattle, true crime, and the city’s highlights. As the name implies, there are no high ticket prices here—pay what you feel it’s worth. Those with a particular interest in design will want to check out the walking tours from Seattle Architecture Foundation. With these, you can take a deeper dive into specific subjects like art deco and design details. Combine your history tour with a sweat session from Seattle Cycling Tours, which has plenty of bicycle tour options covering six to 15 miles of terrain for moderate to advanced riders (it’s hilly here!). Keep the human-powered transportation theme going by getting out on the water with Alki Kayak Tours, offering paddles during the day, at sunset, and during every full moon. The particularly adventurous can take an overnight camping trip to Blake Island, where you can explore the forest trails and beaches after paddling across the Puget Sound for a perfect Northwest day. Hungry? Try a foodie tour! Learn more here.